Skaven are one of the most sinister and numerous denizens in the Mortal Realms. They are a race of vile rat-men that reside in their "under-Empires" deep under the surface. Skaven society is divided between four Great clans, each is unique and highly specialized. Clan Skryre specializes in a bizarre blend of sorcery and science which has produced the insidiously deadly weaponry used by the other Skaven clans. Clan Eshin train peerless assassins and thieves, often remaining neutral during Skaven infighting and selling their services to the highest bidder. Clan Moulder are the masters of breeding mutant war-beasts, using the power of warpstone to enhance the ferocity of beasts and often other Skaven from their slave-stock. Clan Pestilens are frenzied devotees of the Horned Rat, plague-ridden and obsessed with spreading their contagion. 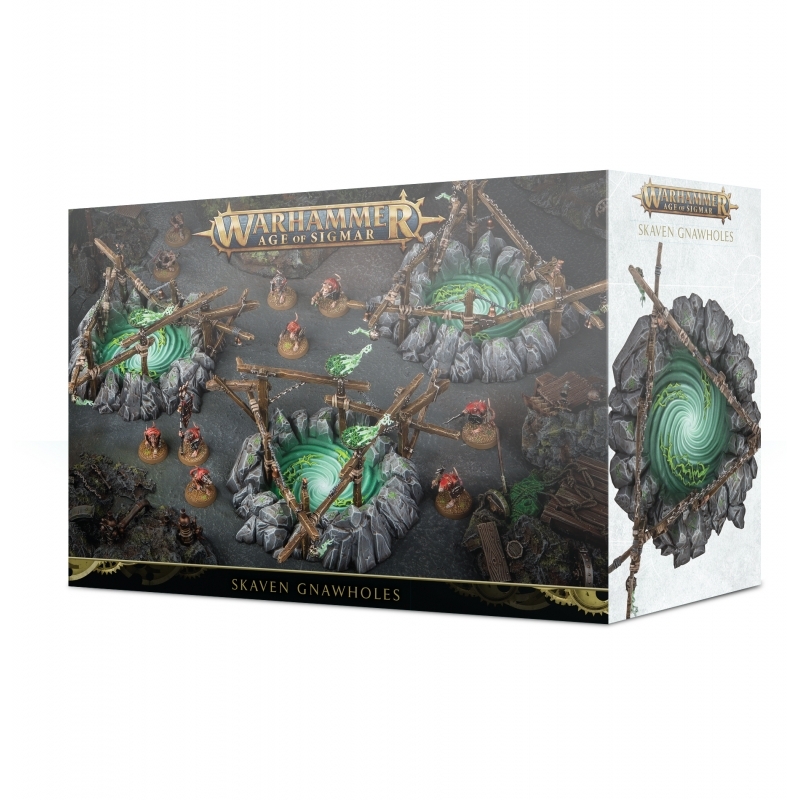 Skaven Gnawholes create a tunnel network on the battlefield allowing for surprise assaults and ambushes.